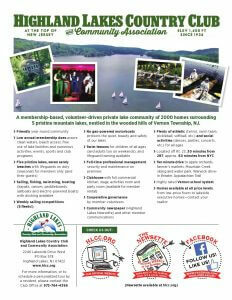 Our Club community has a rich tradition of volunteer service. 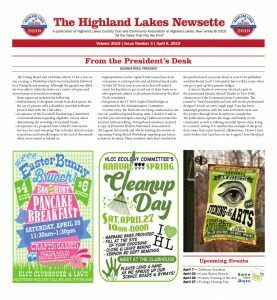 Hundreds of Highland Lakes residents work together, collectively logging thousands of hours of voluntary service to our community all year long. Volunteers lead our Voting Board, our numerous committees, our sailing, sports, and clubhouse programs, they check badges at our beaches, chaperon at teen functions, instruct and share their talents, supervise, set-up and decorate for clubhouse activities plus so much more. 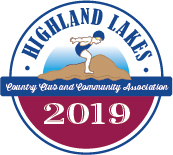 It is this volunteer spirit that keeps our dues down while also keeping Highland Lakes the place we all know and love. Working in cooperation with a dedicated office staff, volunteers selflessly contribute their expertise and their free time to make our community a wonderful place to live. Every resident of the Highland Lakes community is encouraged to join a committee or participate in whatever way feels comfortable—our wide array of committees meet on a regular schedule, and all members are welcome. In addition to feeling good about your contributions and seeing the results through your efforts, the Club acknowledges adult volunteers with the Adult Appreciation event held in late August. The volunteer efforts of residents under 21 are recognized at Junior Appreciation, which is also held in late August. Qualifying volunteers (20 hours for Adults, 10 hours for Juniors) are invited—with a guest—to attend a night of entertainment and recognition where special gifts are given in gratitude for our volunteers’ hard work). Learn more about our committees, or see the committees calendar now.